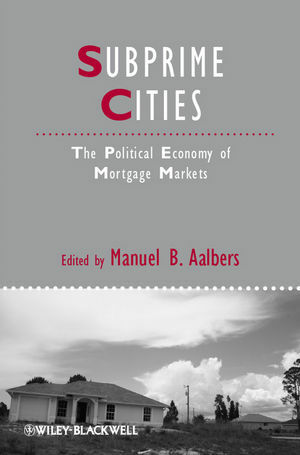 Subprime Cities: The Political Economy of Mortgage Markets presents a collection of works from social scientists that offer insights into mortgage markets and the causes, effects, and aftermath of the recent 'subprime' mortgage crisis. Manuel B. Aalbers is Associate Professor in the Department of Geography at the University of Leuven, Belgium. He is the author of Place, Exclusion and Mortgage Markets (2011) and associate editor of the Encyclopedia of Urban Studies (2010).